An expansive and architecturally stunning space with columns lining either side. 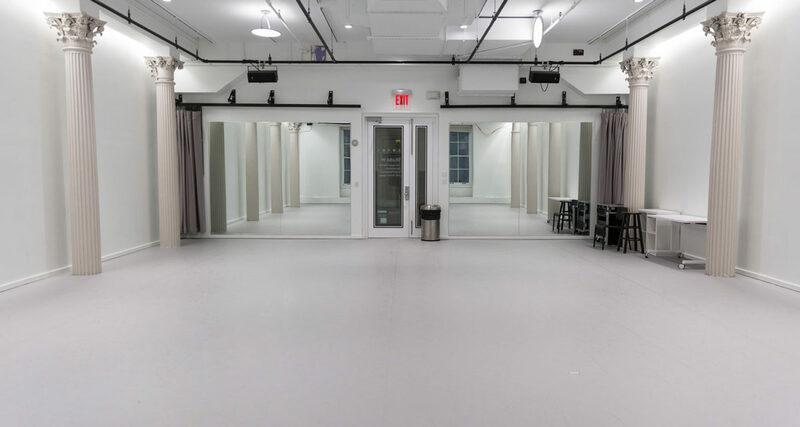 Studio W has been the home of The Joyce Theater Foundation’s artist residency programs since early 2018. Use of shoes prohibited. 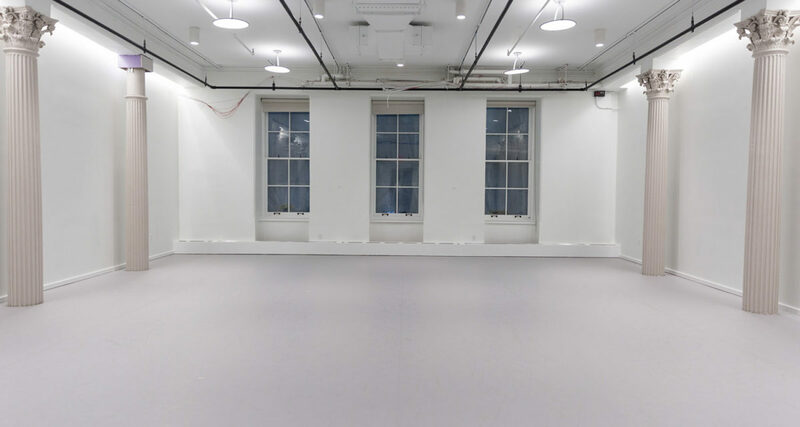 Studio W is the home of The Joyce Theater Foundation’s artist residency programs. Artists presenting work at The Joyce regularly work and rehearse in this beautiful space as they prepare for their performances. Studio W also contained the gas lines that were used to power gas lights at A.T Stewart Dry Goods, which occupied 280 Broadway from the mid 1840s until 1862.